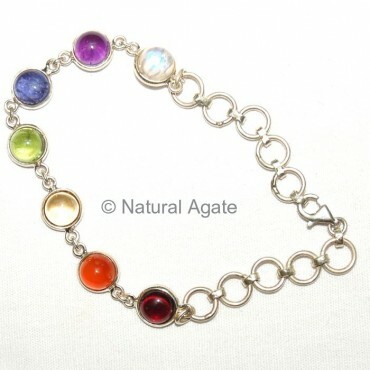 Chakra Gems Bracelet can be availed from Natural Agate. It is 7in long bracelet. This bracelet has style, elegance and modish look.